You can read about my best automotive memory of 2012 in Wheels here. You'll find links to other Wheels writers' there as well. Infiniti announced today that they are changing their model naming strategy, with all conventional cars carrying a "Q" prefix, followed by a two-digit number representing that model's position within the Infiniti range. Today's G37 range will be split into G50 (sedan) and G60 (coupe and convertible), for example. Crossovers and SUVs will use "QX" and the same numeric sequence, though a "Q60" and a "QX60" will not necessarily be related or even similar in size. For that matter, the new JX35 will become the QX60, while the smaller FX37/45 will become the QX70. Get it? Because the FX is more upscale than the JX - how can you not see the logic? "This strategic change reflects Infiniti’s desire for clarity and cohesiveness as it embarks on ambitious growth plans, including significant expansion of the Infiniti portfolio." Cohesiveness? If you mean that buyers won't have a bloody clue what model is what because they all have effectively the same name, you'd be right, I guess. Clarity, not so much. Let's look at how well this kind of strategy has worked in the past. Acura Legend. Memorable - and popular. Sold a bunch. But, on the plus side, all ten people who bought them could tell their neighbours that the expensive, vaguely Accord-looking thing in their driveway was an "Acura", and not a "Legend". Good for brand recognition, right? Who cares if you actually sold any? MKX - small crossover, twin of the Ford Edge. MKT - big crossover, twin of the Ford Flex. MKZ - midsize sedan, twin of the Ford Fusion. MKS - large sedan, twin of the Ford Taurus. Quick! What kind of vehicle is the MKZ? Buyers apparently have no clue, but I'll bet almost anyone in North America can correctly identify and name a Town Car or Navigator. Nissan, Infiniti's parent company, has made large blunders with their premium brand in the past. When it introduced the brand in around 1989-1990, it showed ads with rocks and trees and Japanese gardens, rather than the products themselves. It also put what looked like an artsy Texan's belt-buckle in the centre of the Q45 flagship's grille-less nose. Looks OK today, but it was fairly bizarre back then. Toyota, on the other hand, chose to not only show its new Lexus models, but it did it with stunts like balancing champagne glasses on the hood of an LS 400 while it ran at speed on a dyno, displaying the car's refinement and technical prowess. Shamelessly aping the overall shape and appearance of Mercedes' top S-Class, the LS's targeted competitor, paid off. This latest move is ill-conceived and doomed to failure. Hopefully it won't clobber the company too much, and things will revert back to the way they are now, with different letters for the model range (typically going up the alphabet as the grade rises), and a numeric representation of the engine's displacement (as in "G37" or "M45"). Infinti, please stop the madness! 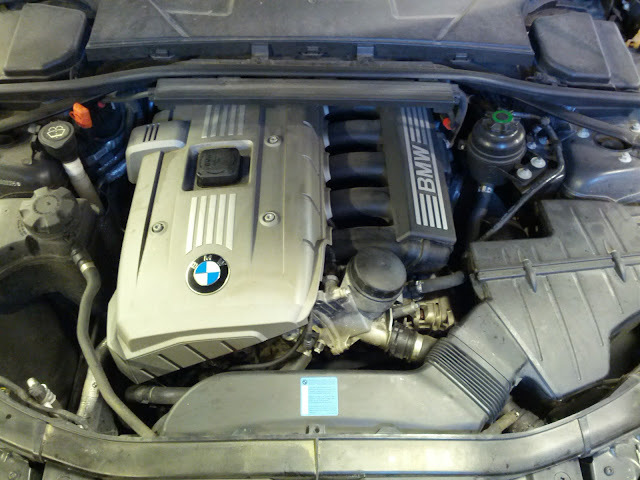 Quick - can you spot the engine oil dipstick in the engine bay of this 2006 BMW "E90" 323i? Trick question: there isn't one. This is a combined "When Engineers Get Bored" and "Jackass Award" entry, because there was no real reason to eliminate the dipstick. Although quite a good number of automatic transmissions have gone stick-less in the past decade or so, unless they're leaking, they don't consume fluid. Engines do. Engines also have their oil replaced fairly frequently. Transmissions? In a perfect world, not so much. Bored BMW engineers obviously felt that they could save a few dollars by using electronics and sensors to replace the engine oil dipstick. Oh, wait, that actually wouldn't be cheaper, now would it? So why do it? Good chance it will drive up service department business, I would have to think. Sure, it does keep the customer from having to open the hood and potentially get dirty checking their oil, but has that really been a problem for the last 120 years? I doubt it. Eliminating the dipstick becomes a problem when a vehicle that is known to consume oil, and which has crazy-long service intervals that almost guarantee the need to add oil between changes (BMW actually sells an accessory spare oil bottle holder for the trunk for this purpose) then has no practical way of quickly and easily determining the oil level. As it turns out, it does, kind of. In a bored engineer sort of way. 2006 BMW 323i oil level indicator. Yes, it's in the trip computer. Built in to the trip computer is an oil level check function. Certain criteria have to be met (engine temperature, engine run time, etc.) before it will display the level, and - counter-intuitively - it has to be running to check the level. Doing an oil change? Better know how much oil this thing holds beforehand, because you're committed once you begin - you can't check the level until you start it. If memory serves, the "min" and "max" indications are not 1 litre (quart) apart, as on most cars and trucks, either. No owner's manual? No service information? No familiarity? You're fairly much euchred. And that's if you can parse out the secret to activating this display in the first case. 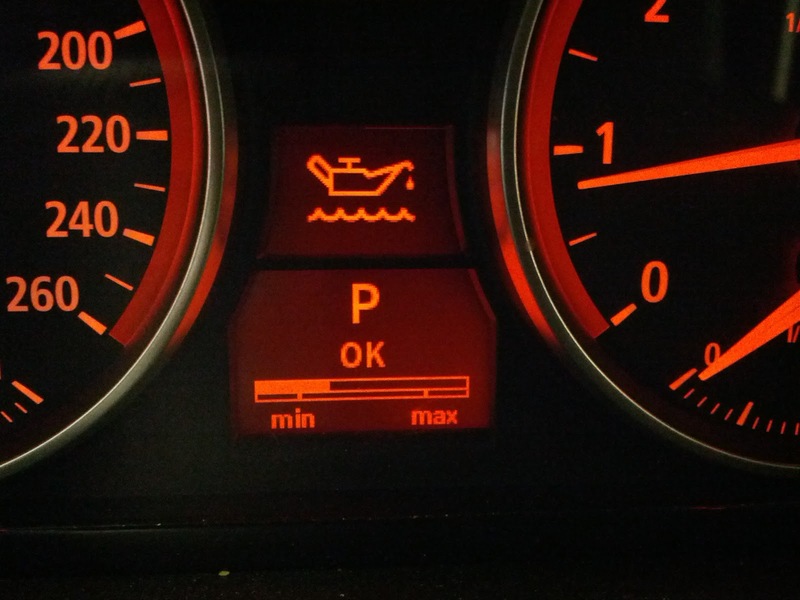 Having something that warns the driver of a low oil level is no bad thing on its own. Sometimes we need to have our hands held for us, and excessively low engine oil is an expensive "oops". I'm more than OK with building that function in. But eliminating as simple, effective, and cheap of a maintenance device as a dipstick is pointless at best, and it's a quick way to earn yourself a Jackass Award. You can find my Wheels Christmas Gift Guide here. There should be links to similar guides from my Wheels colleagues there as well. 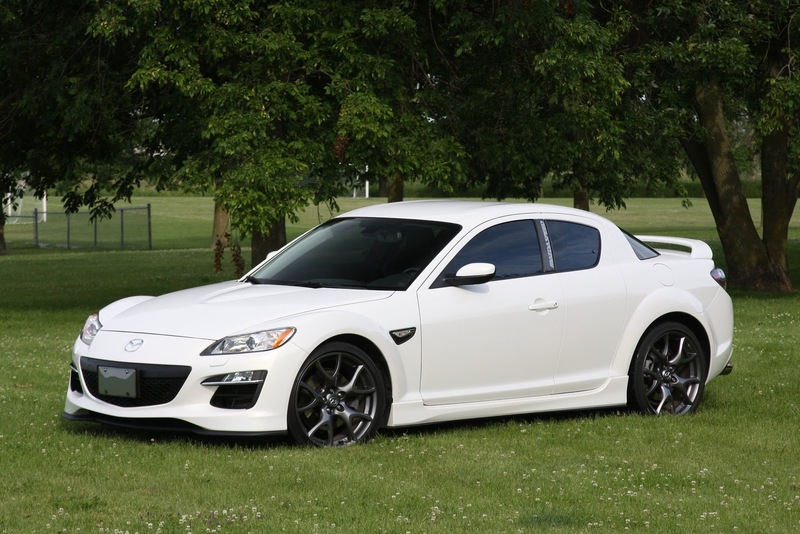 While our price categories were determined by the paper, if you're shopping for a car enthusiast, you'll likely have different cost maximums. Tools, car wash soap/wax, and dress-up accessories are risky choices for true enthusiasts, as most have pretty specific preferences on these items. My friend Justin Pritchard has some sage advice in this regard - you can read it here.